Heat 1 tablespoon of the oil, add the whole seeds and heat until the mustard seeds begin to pop. Lower the heat and add the onion and garlic and saute lightly, next add the chilli, cumin powder, turmeric, and tomatoes. Bring to the boil then simmer for 10 minutes, add salt and sugar to taste, then the garam masala, simmer for another 5 minutes. At this point the sauce can be refrigerated for a few days. Abour ½ an hour before serving, warm the curry sauce. Cut the fish into large chunks and toss in rice flour. Heat the remaining 2 tablespoons of oil and quickly brown the fish. Add the fish to the sauce then simmer for a further 20 minutes, until the fish cooked through. oh and the food looks pretty amazing too! amazing colours in the photos! 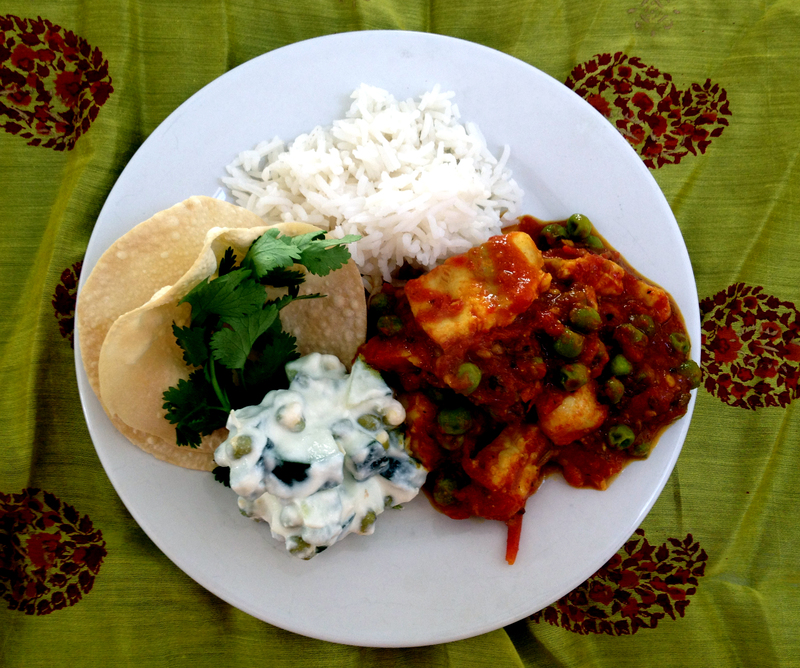 This entry was posted on April 18, 2012 by ladyredspecs in FODMAP diet, Food, Gluten Free, Indian Food, Light Savoury Dishes, Main Meals, Seafood Dishes and tagged curry, fish, peas, spices, tomatoes.